From July 6-10, NMWC hosted our second summer camp of the year. 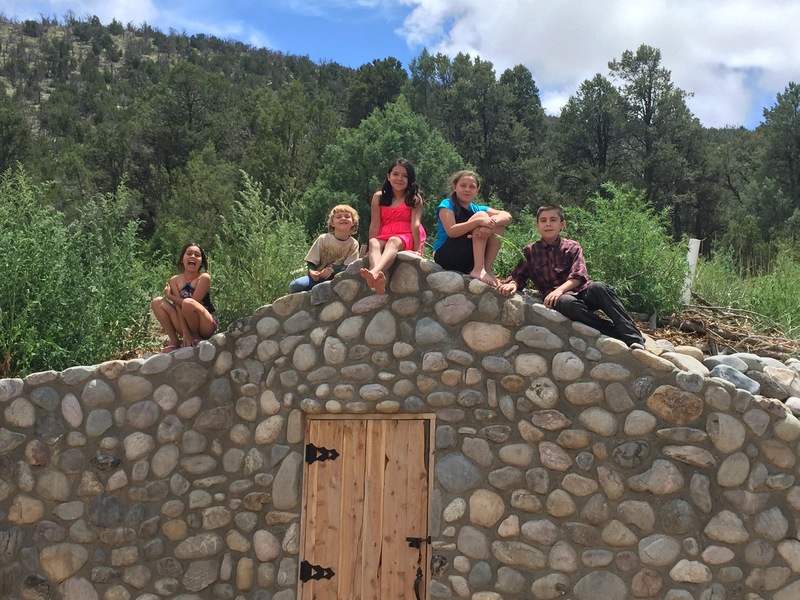 This camp was sponsored and hosted by Owl Peak Farm in La Madera, NM. 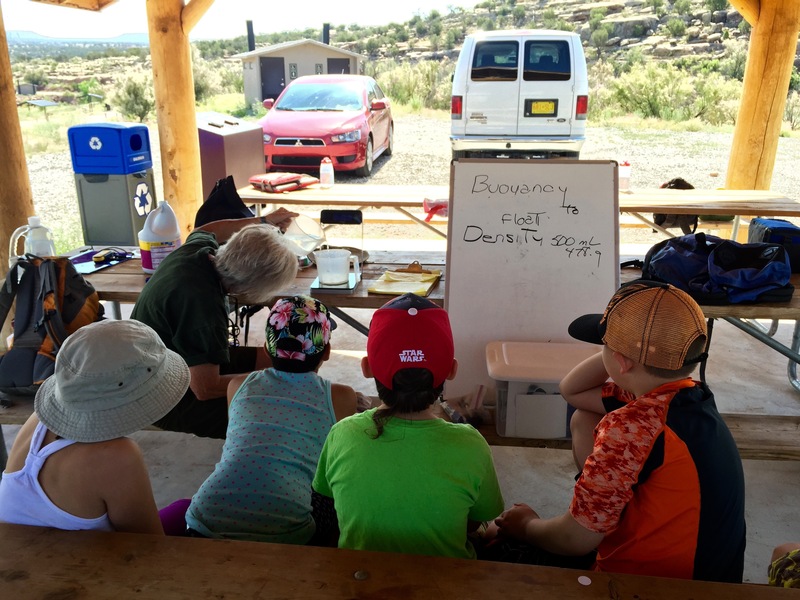 We had another fantastic group of local kids, and we learned a lot of science during the week. Hanging out at the farm. 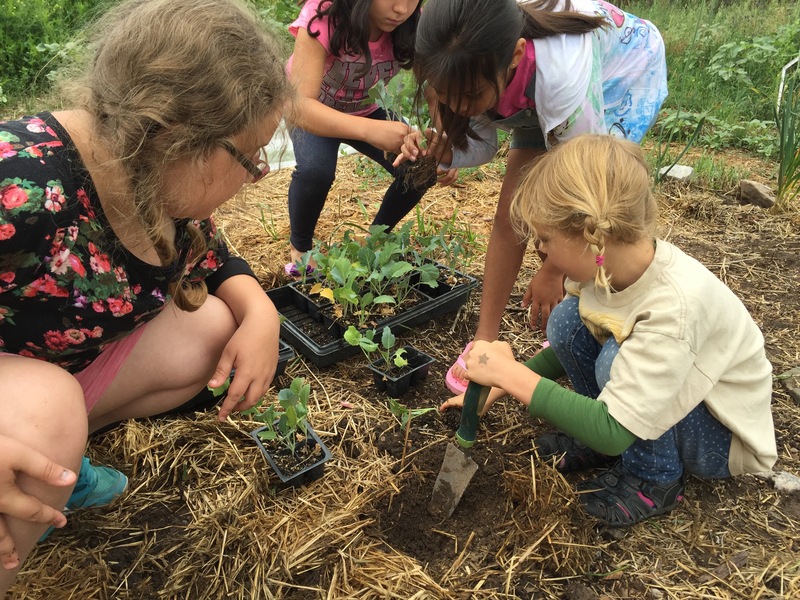 A local farm is a fantastic place to hold a summer camp, and it provides ample opportunities to study plants and what they need to grow. 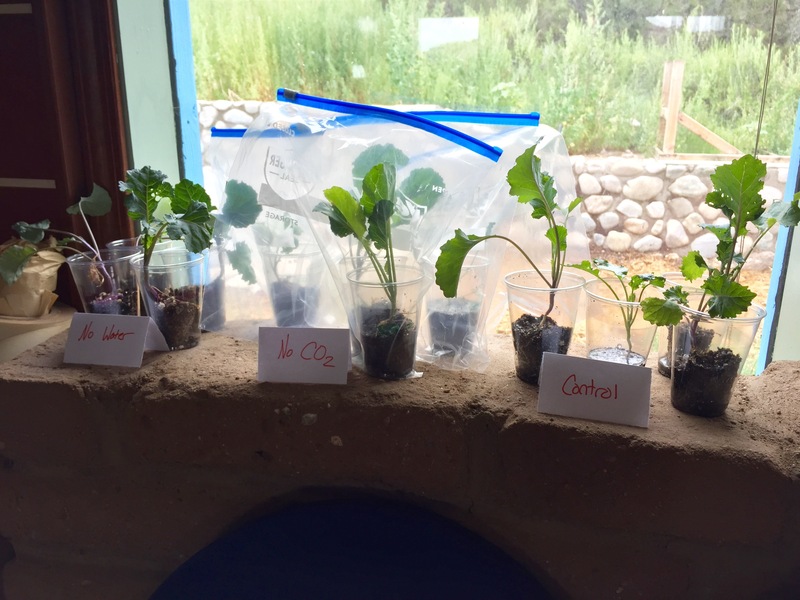 Testing how plants react when something they need to grow is withheld. We even got to help out on the farm a little! 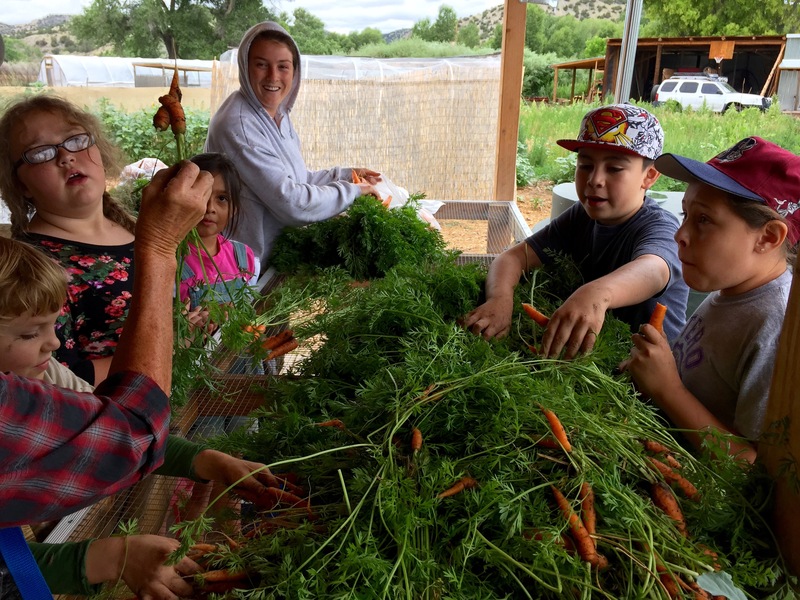 Sorting carrots after thinning part of a row. 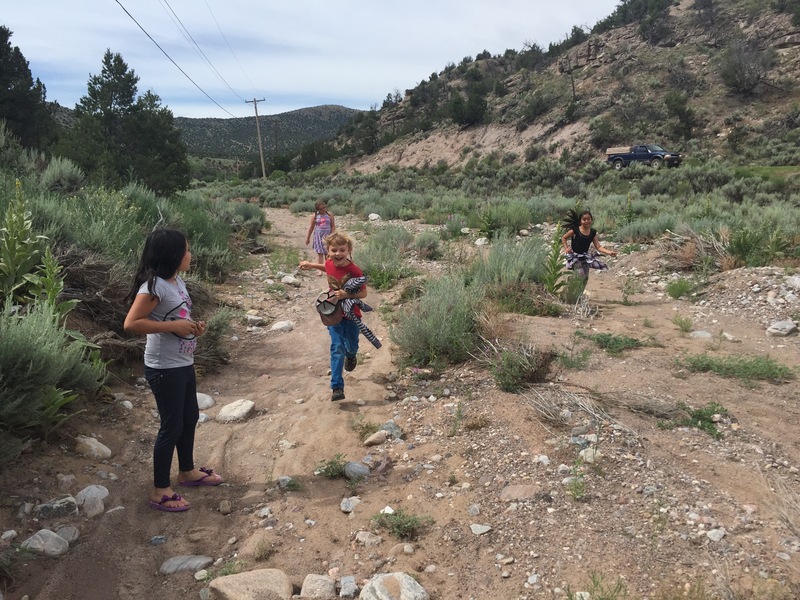 Owl Peak Farm sits on the Tusas River, which gave us ample opportunity to discuss the ins and outs of riparian ecosystems, the importance of benthic macroinvertebrates, and the effects of beaver. 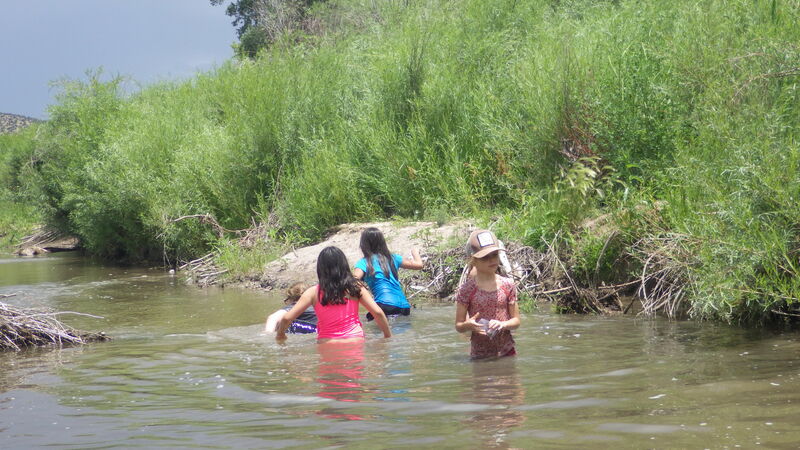 Of course, not all of New Mexico is wetland, so we had to explore a nearby arroyo. Checking out a drier area near the farm. In this arroyo, we talked about geology. 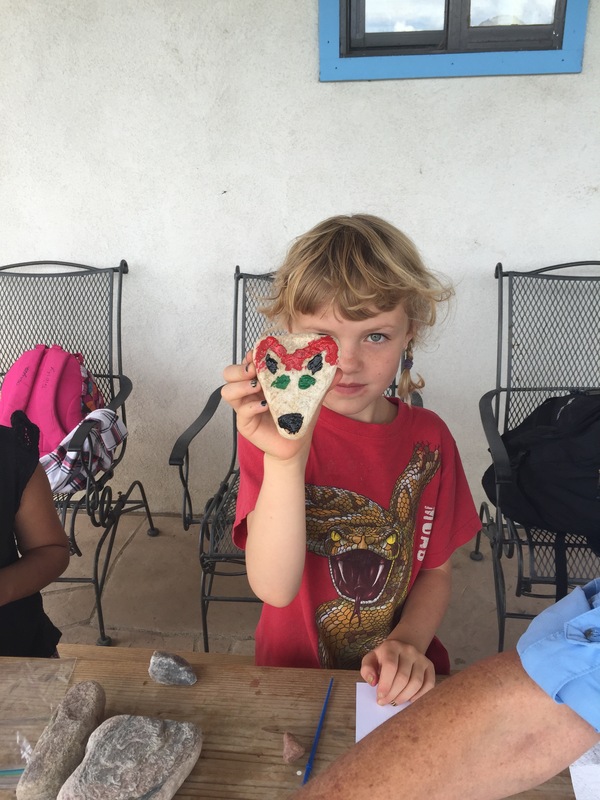 We noticed that some of the rocks looked like animals, so we took a few back to the farm and embellished them. This rock looked like a fox! 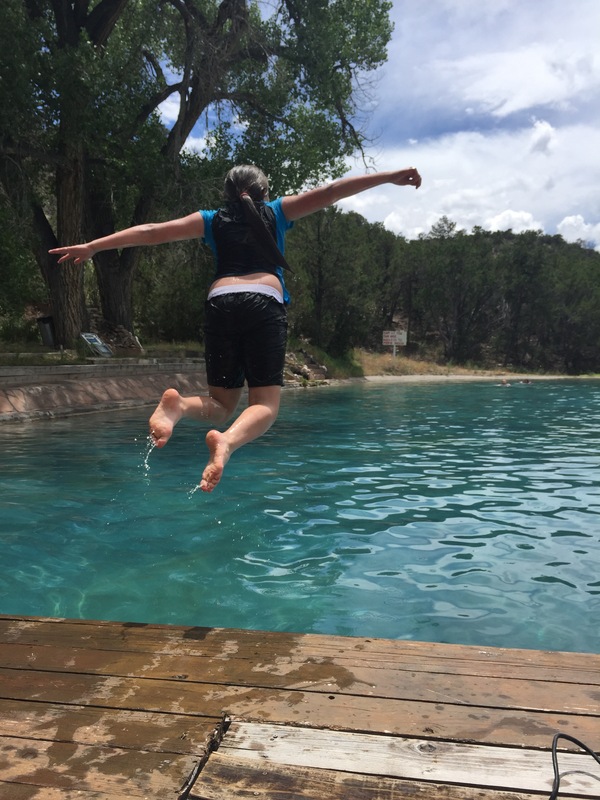 On hot afternoons, we got to swim in the pool below El Ojito hot springs- it was a real treat! Jumping in to cool off! 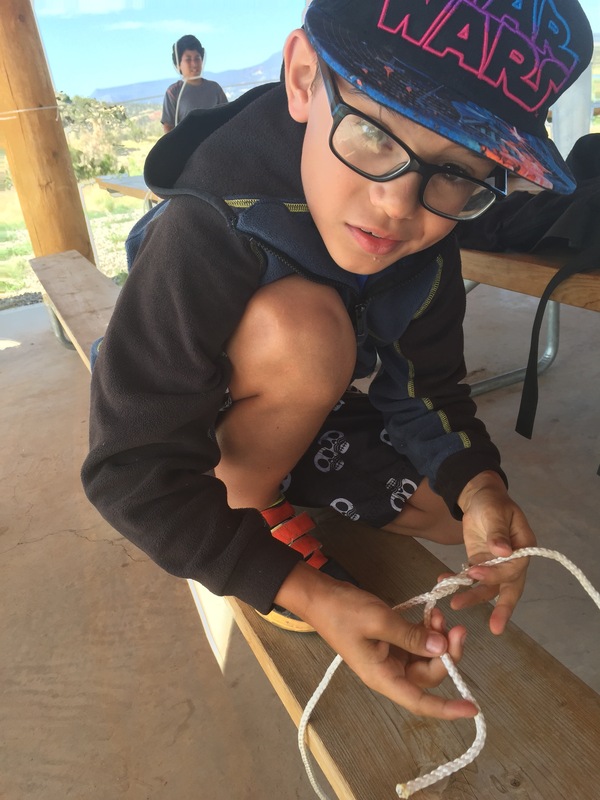 We practice tying knots on several days. 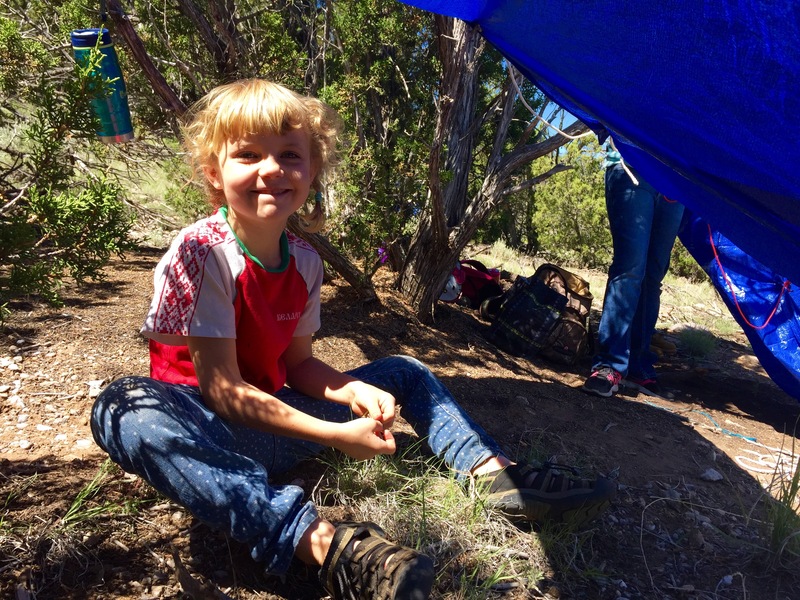 One morning we hiked up behind the farm and discussed emergency shelters. This was particularly fun because it involved very little participation from the adults. 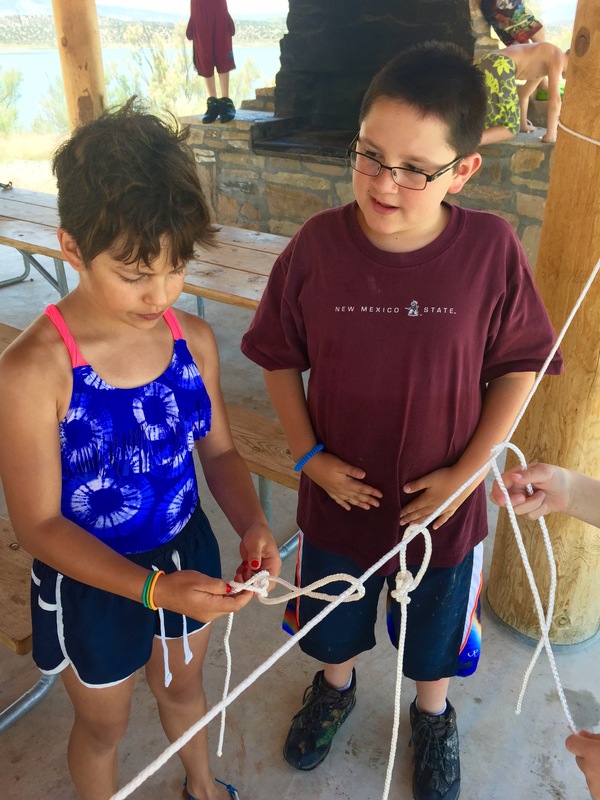 Campers had to figure it out using their new knots! 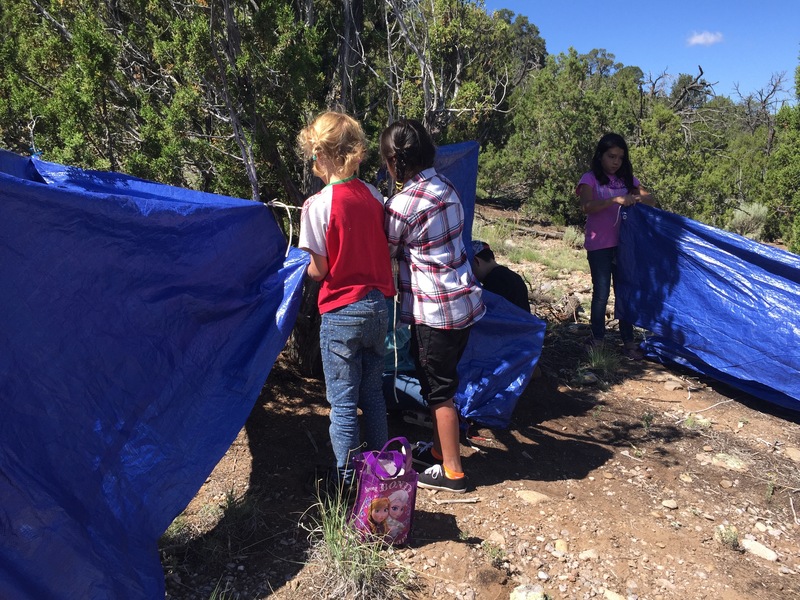 Everybody did a great job, and we enjoyed lunch in our little shelters. Checking out a newly-constructed shelter. The entire experience was incredibly fun for everybody involved. 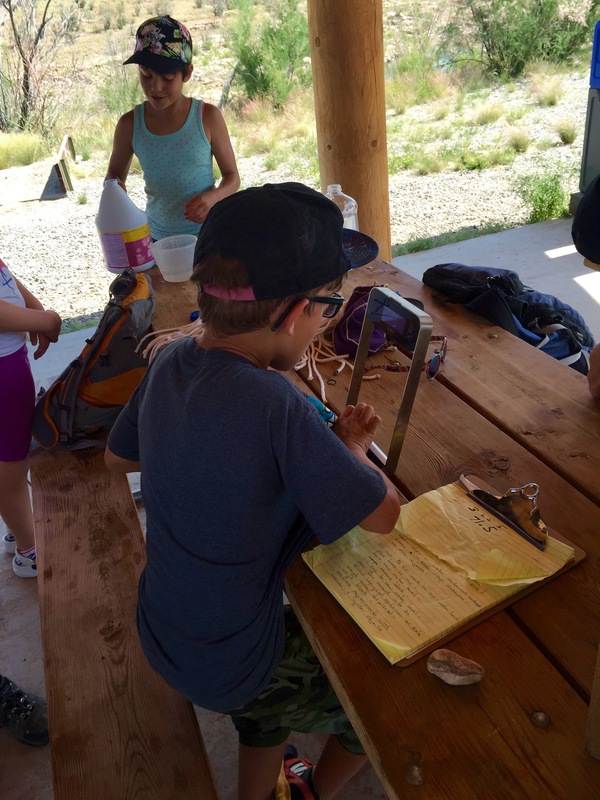 On the last day, we reviewed everything we discussed, and the campers remembered all of the science that we learned over the week. 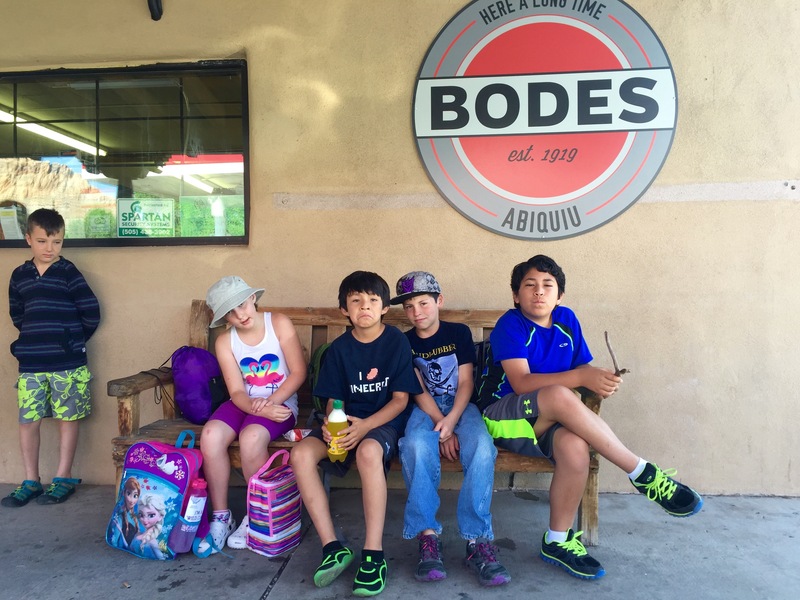 We had a fantastic time, and we’re very grateful to Owl Peak Farm for supporting and hosting this camp! 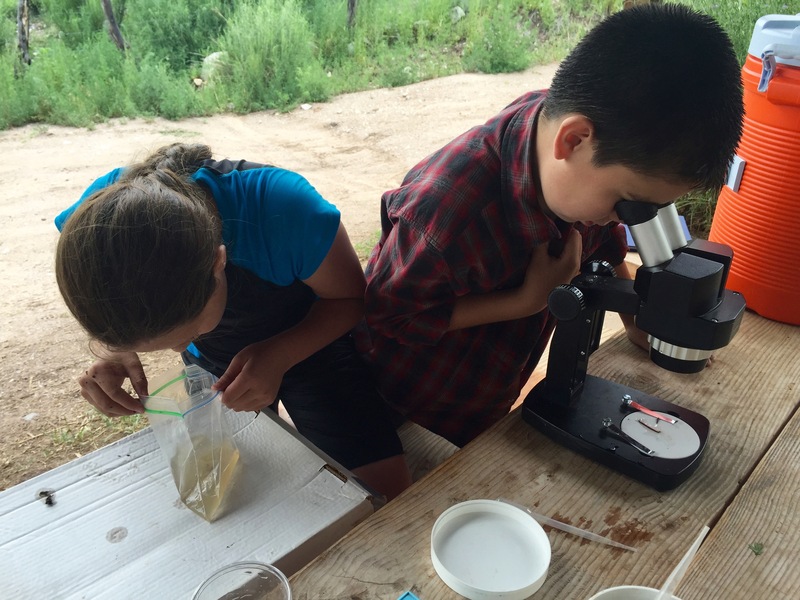 Last week was our first Summer Science Camp! 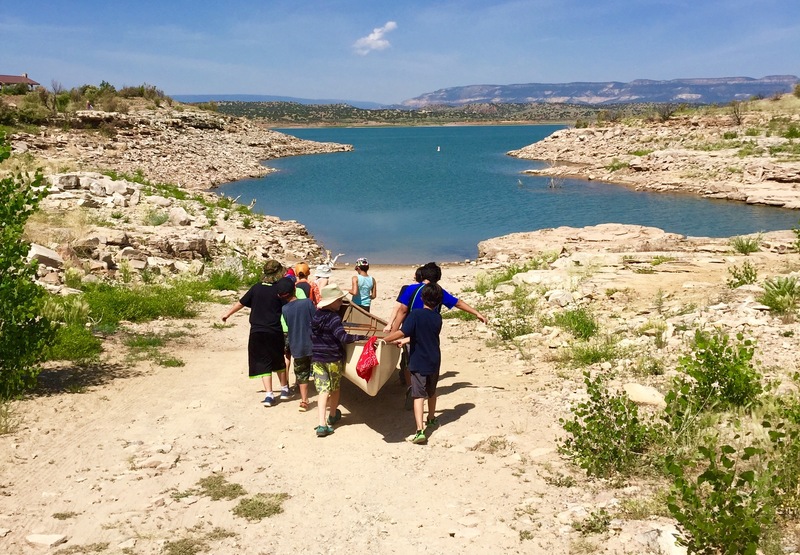 We held it at Abiquiu Lake. As you can see, we had a fantastic group of 10 kids (not all are shown below). Picking up campers at a local institution. 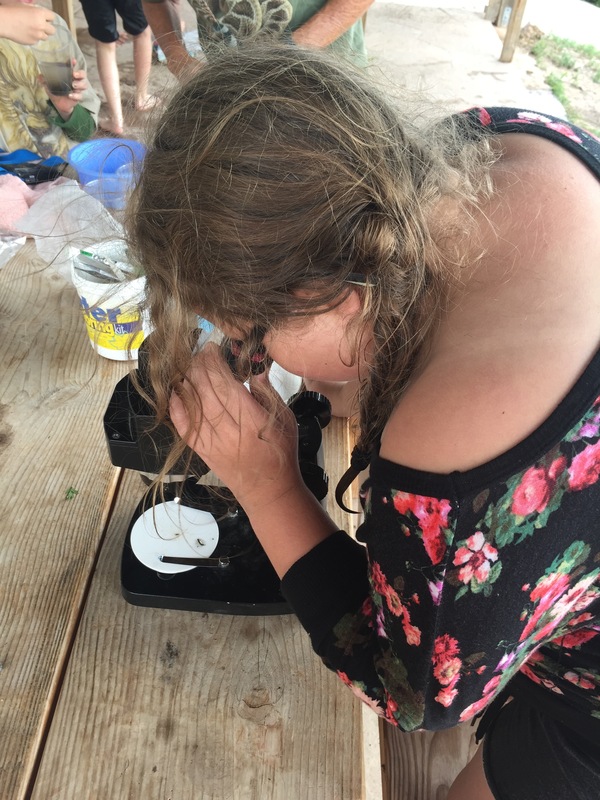 Each day students learned a new aspect of science: identifying local plants and animals or learning about density and buoyancy. 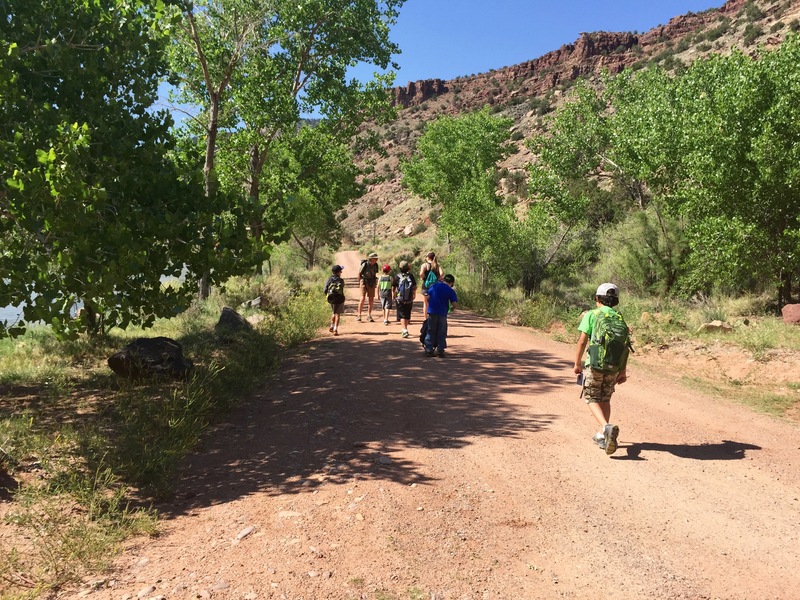 Heading off on a hike along the Rio Chama. 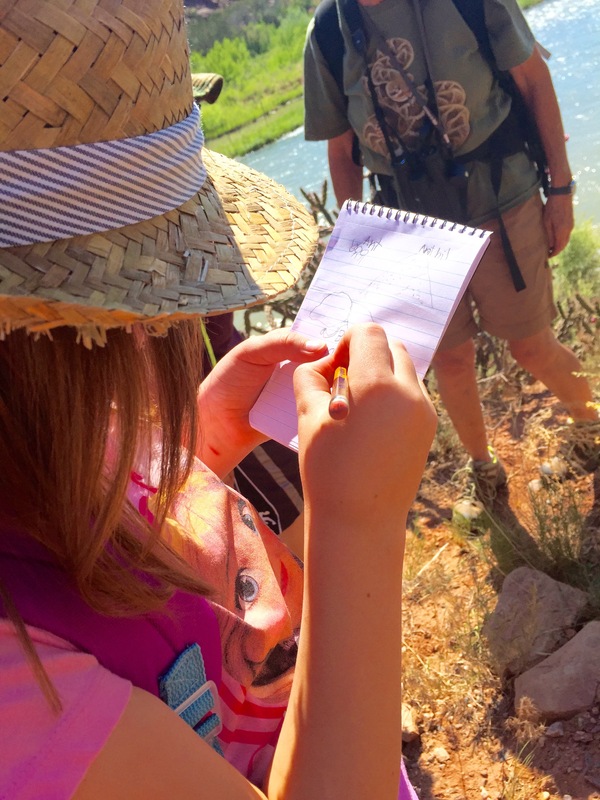 Identifying and recording life forms along the Rio Chama. Weighing objects in a given volume to calculate density. 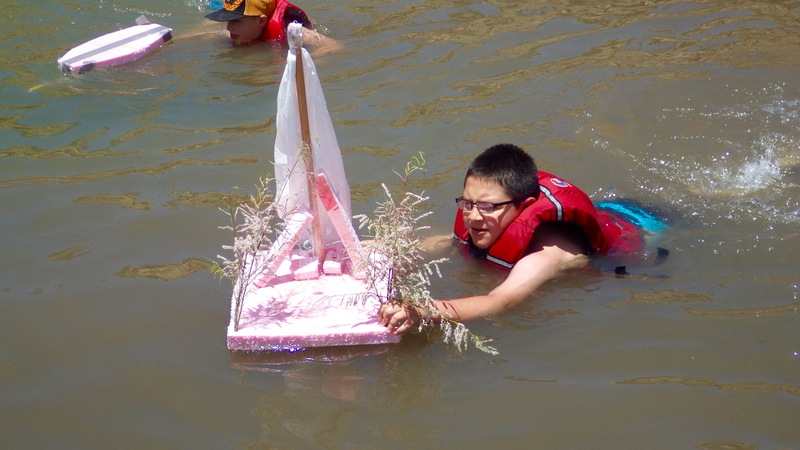 Using our new-found knowledge of buoyancy to build sailboats. 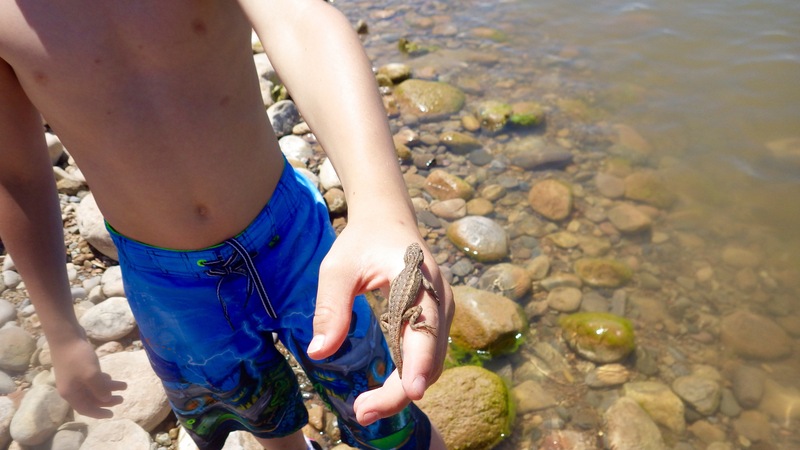 Taking a closer look at a local resident. We also learned some important skills, like knot tying, how to canoe and kayak, and for one participant, how to swim. 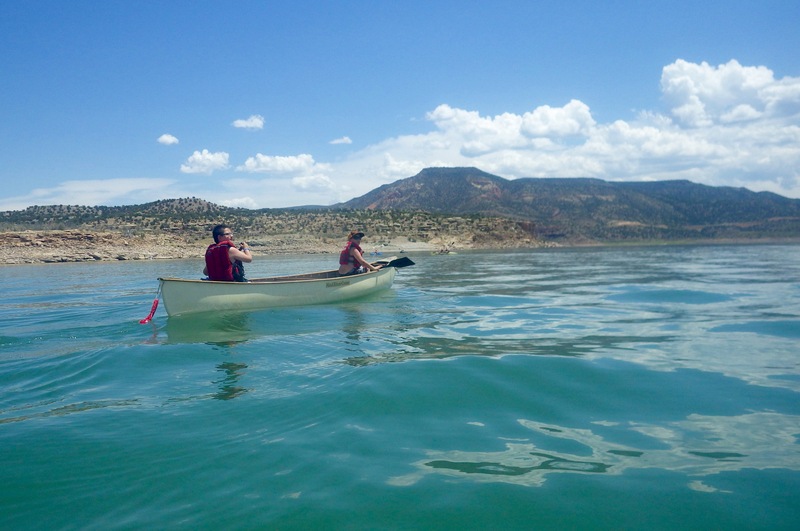 We’re very grateful to our partners with the US Army Corps of Engineers at Abiquiu Lake for loaning us life jackets and making it possible for us to reserve a group shelter to keep out of the hot sun during the day and for camping on Thursday night. 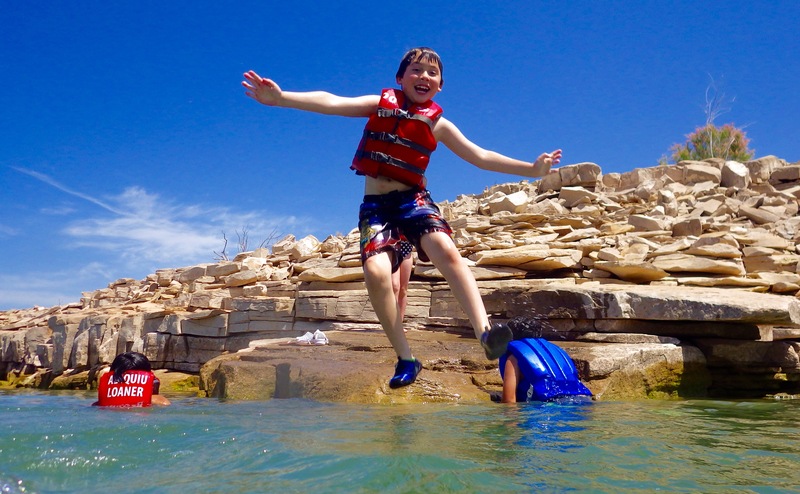 This camp would not have been possible without life jackets to keep us safe! 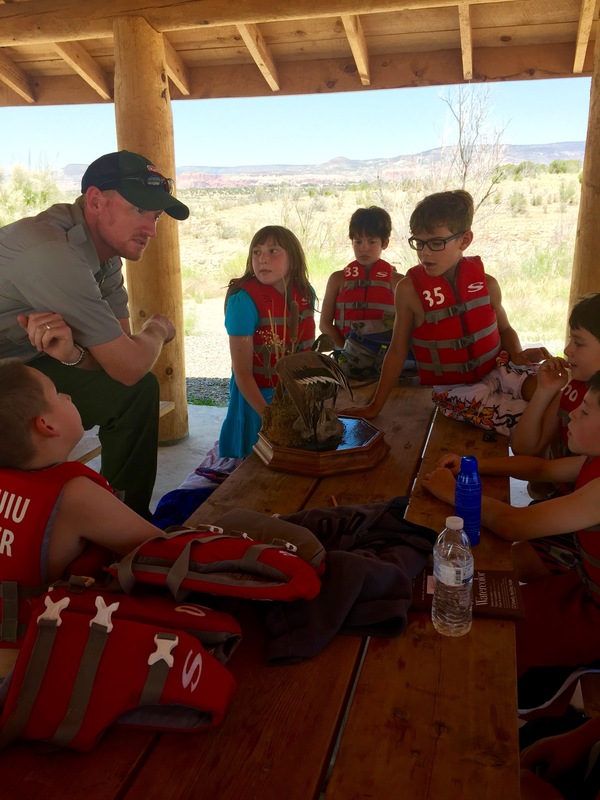 Ranger Austin explains why ducks float and children don’t (without a life jacket). 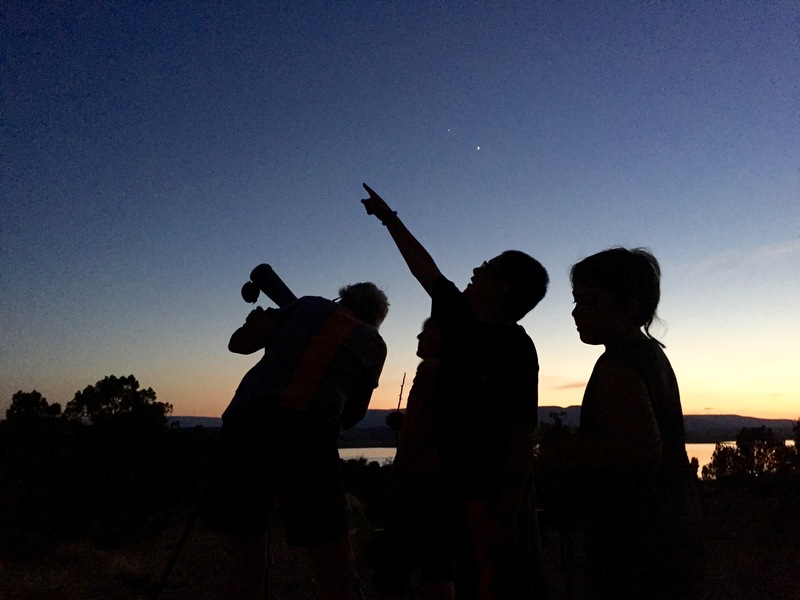 On Thursday night, a few parents joined us, and we spent the night at Abiquiu Lake. 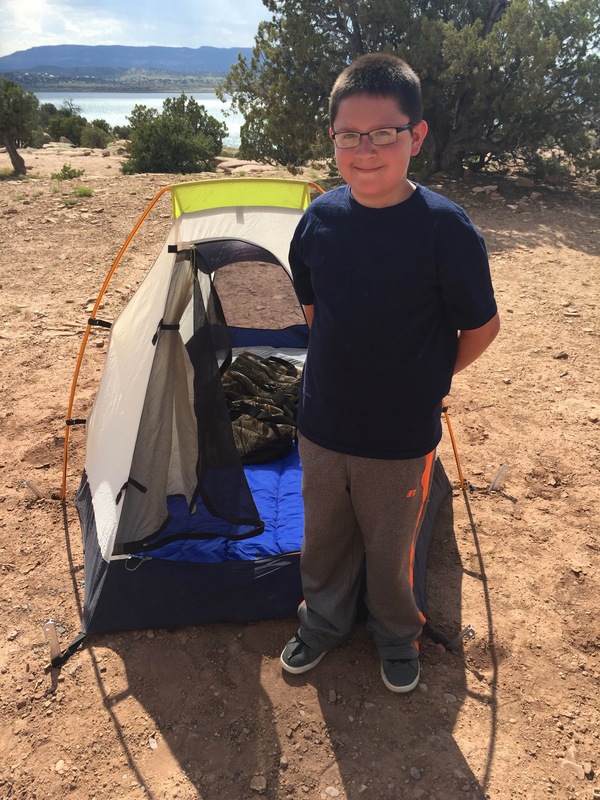 A camper stands beside his tent. We roasted hot dogs, cooked s’mores, and watched the stars. We observed the moons of Jupiter and the rings of Saturn with a telescope. Campers watching the night sky. After our camp out, we cleaned up way more than just our group shelter! We wanted to leave the campground cleaner than we found it. 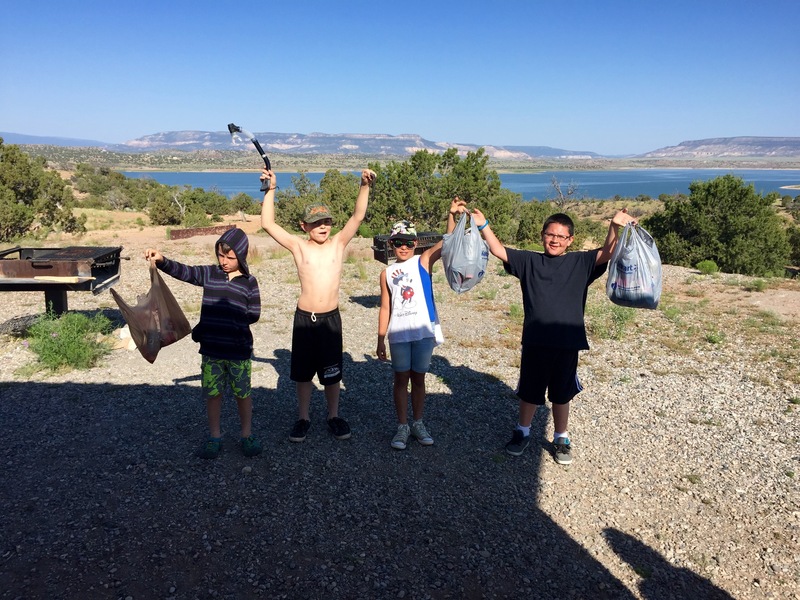 Campers with the trash they picked up. It was a fantastic week, and we’re looking forward to offering this camp on more than one week next year! 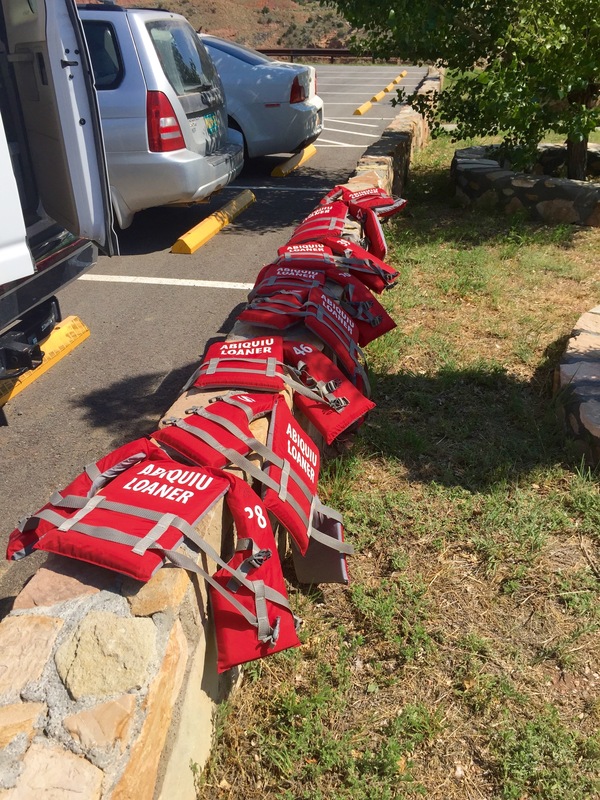 Life jackets drying after a long day in the water. 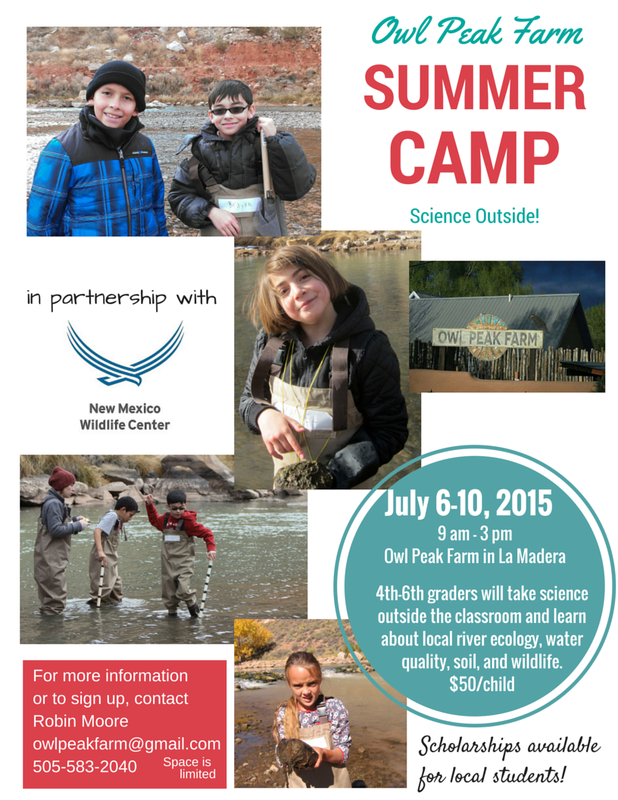 NMWC is hosting two summer camps this year! 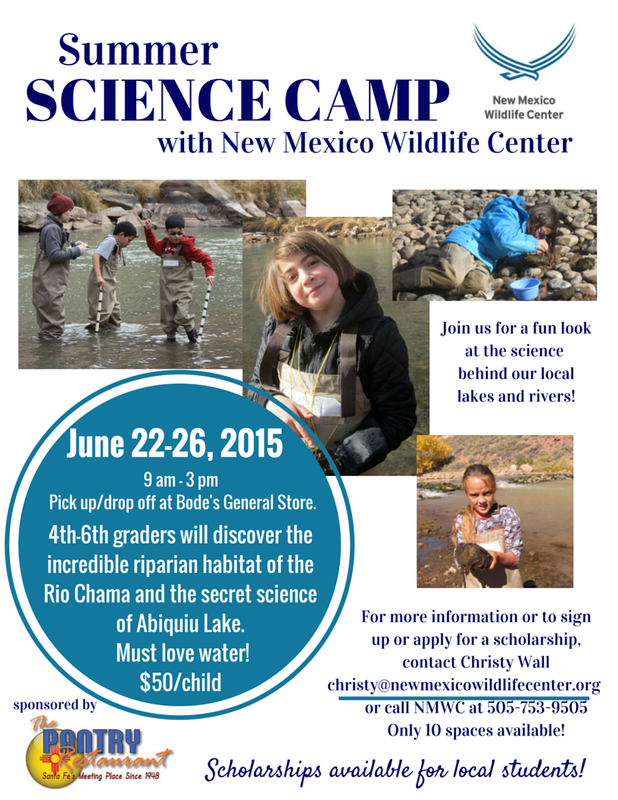 Check out the flyers below and send Christy (christy@newmexicowildlifecenter.org) an email if you are interested.